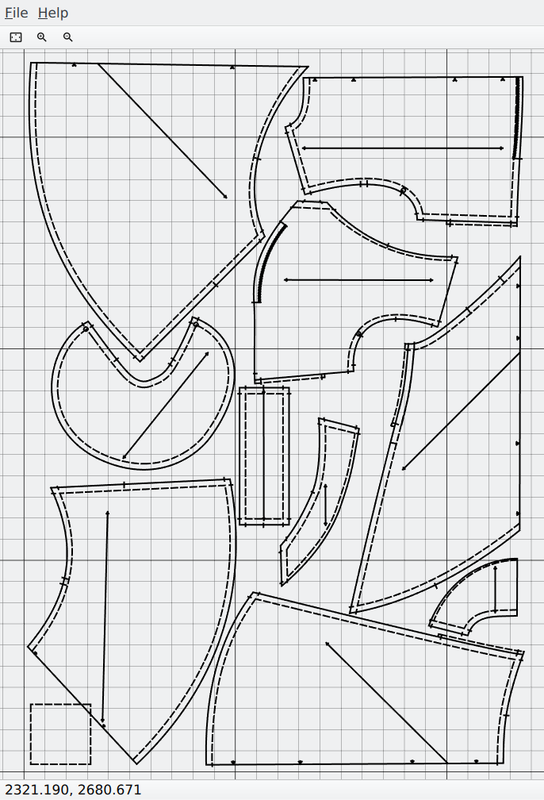 For the complex dress pattern “Veravenus” of the file veravenus-little-bias-dress.pattern-a0.svg made of 270 SVG paths and 1051 segments, the parsing and rendering time is of the order of one seconde ( cf. following log ). In comparison, Inkscape launched in parallel using a shell script, takes a little more times to start and open this file. Of course the comparison is not perfect since Inkscape is a heavier software to load, but it shows a full Python implementation ( excepted the work done by Qt ) is competitive for a such file.